I must admit, I'd been waiting for The Final Station ever since I saw the first preview of it a few months ago. The image below should evoke the same emotions in you; this thing looks like it could have been on the NES, and it is glorious in all that it presents. 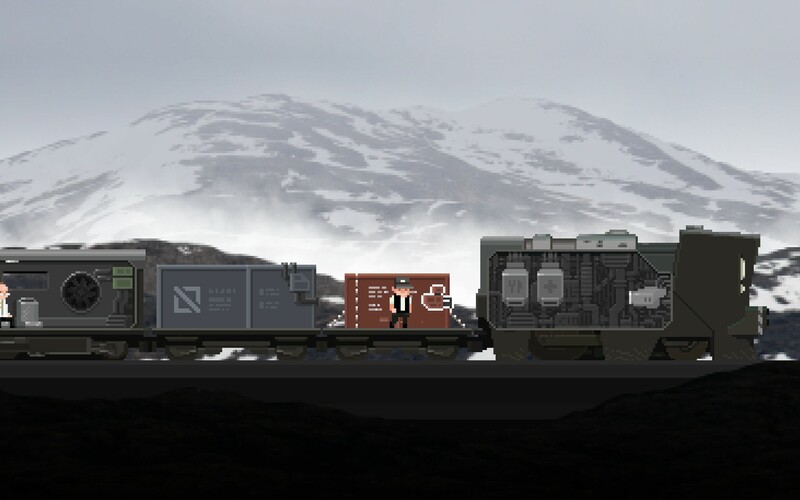 The game places you in the shoes of a train engineer, with the daunting task of delivering cargo that could provide for the survival of the human race. 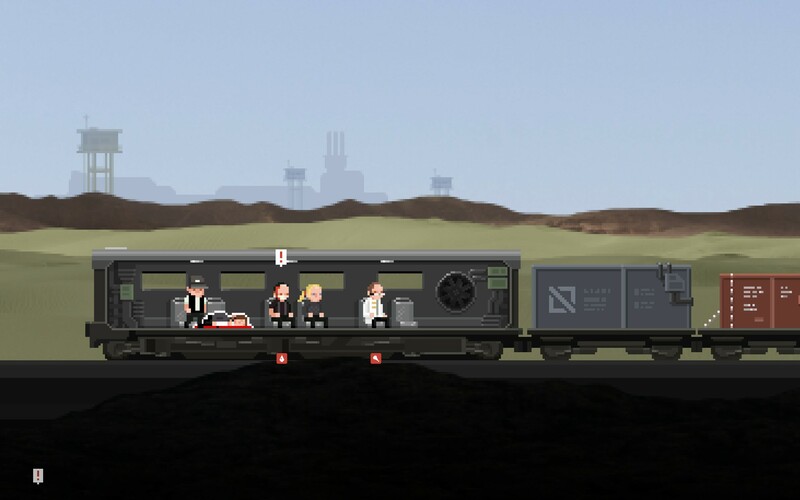 Between cities, you are on the train, and during each train scene a piece of your train will inevitably start malfunctioning and need you to attend to it. Failure to do so forces your train grind to a stop until you've figured out how to keep that piece of the train functioning. Each city presents you with the same challenge: find the blocker code so you can continue on your journey. Train travel is very restricted in this world, and even though you are tasked by the very government you are trying to save save, no exceptions can be made. These codes are delivered in advance to the station manager or another official in charge of the train station where you are arriving. Problems arise when these people need to wander off while waiting for you, and, typically, they are not just a quick jaunt away. At most stations, you start off very close to where the code is written on a piece of paper taped to the wall - though it is always behind a locked door or something which you cannot access. 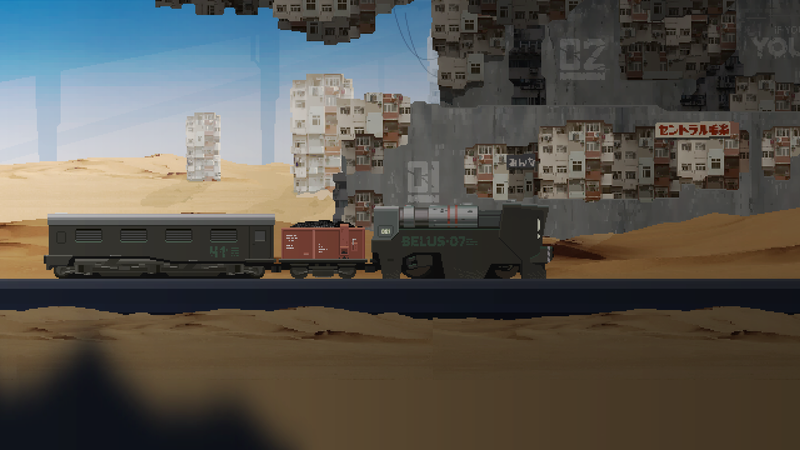 Once you've retrieved the blockers code, you need to return to the train and climb aboard to continue. As the trains starts up again, you will be faced with those same malfunctions and, often, you will have passengers you need to attend to as well. They will require food and medical attention, which is provided to you through dispensers in the front of the train. Supplies that you find out in the cities will populate these dispensers, though you do have some ability to create items in the train, as well. If you fail to attend to any passenger that bottoms out on food or health, they will die (and you won't get the reward from ferrying them to their destination). On the plus side, however, you can fish through their pockets for any valuables they might have. Goody! The atmosphere that the game provides is engaging, and I found myself interested in where the story was going; mostly wanting to see this "guardian" everyone was talking about. Each level is laid out by the games designers, leading to a very limited replay factor. 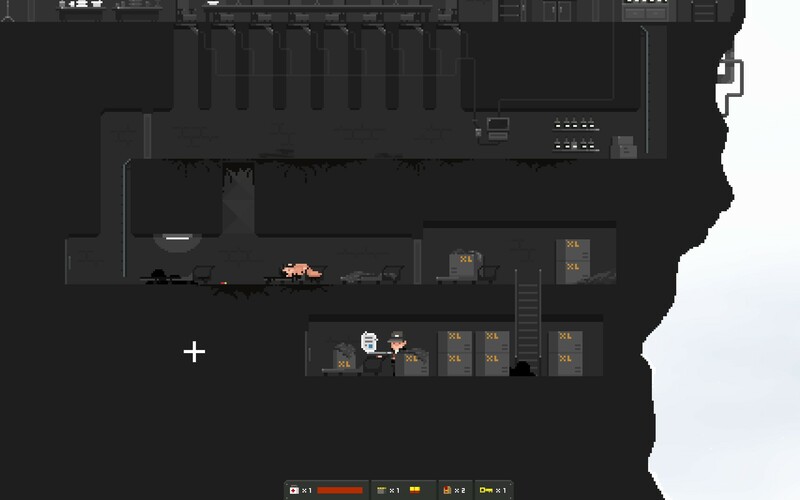 Each stop is a repeat of the last - show up, find the blockers code, gather resources/survivors, kill monster things, return to the train and leave. Rinse and repeat. Many games have similar mechanics that follow a repeating pattern, but perhaps the limited scope of this game makes it seem more apparent. I didn't find it to be a huge bother, and was able to complete the game in short order. The only complaint I have about this game is that often times you will get stuck in a situation that is not passable (60 tries to get through a set of enemies is more than enough, I think), and the checkpoint-ing system seems to kick in at random intervals. You might find yourself right outside the room you need to pass, or it might be down the street; forcing you to battle through a bunch of stuff you've passed already. Fortunately, exiting the game and re-entering provides you with a fresh start to the level; something I had to exercise a few times. Overall I found this game to be delightful, and a welcome addition to my already massive steam library (unlike 1953 - KGB Unleashed, but that is a story for another day). 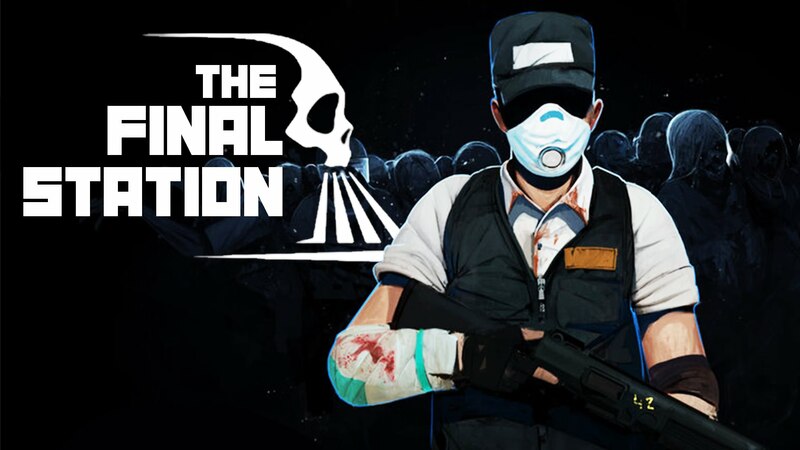 The Final Station is available now on Steam for $14.99 at the time of this writing. It is well worth the money, especially factoring in the two person team that created it. I give it a hearty thumbs up!